At least 17 high-water records have been set across Nebraska, where 660 people are in evacuation shelters and the National Guard and State Patrol have had to rescue more than 175 people, the Nebraska Emergency Management Agency said in a statement. Vice President Mike Pence tweeted March 19 that he’s heading to Nebraska to survey the damage. Flooding also cut a number of BNSF railway lines, with the railroad anticipating that tracks on its Hannibal and River subdivisions along the Mississippi River will possibly be out of service through March 20, according to its website. The Union Pacific railroad has also reported a number of lines out. Next week, though, heavier rain could sweep across the central U.S. from southern Nebraska into the Mississippi Delta region and Ohio Valley, adding to troubles there, Keeney said. In February, the U.S. Army Corps of Engineers had to open the Bonnet Carre Spillway 28 miles upstream on the Mississippi from New Orleans to take flooding pressure off the city. The spillway, finished in 1931, has only been opened 13 times, and this is the first time it has been used in back-to-back years, said Matt Roe, spokesman for the Army Corps of Engineers New Orleans District. The flood woes extend north as well. The mayor of Fargo, N.D., declared an emergency and ordered 1 million sandbags to barricade the city from the Red River, which is expected to flood in coming weeks. 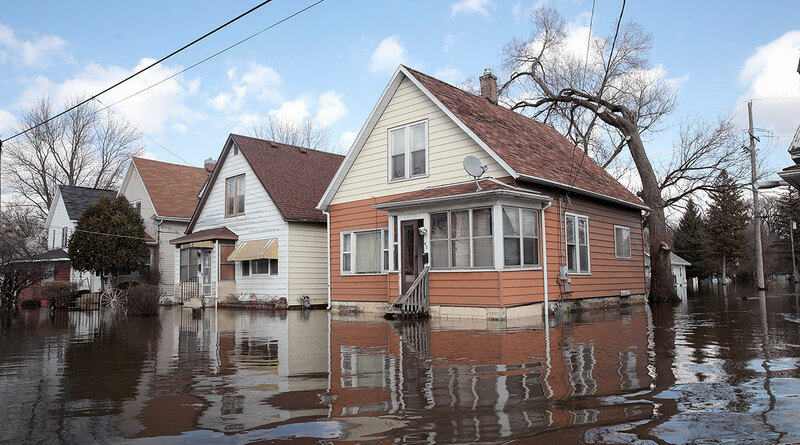 The river, which forms the border between North Dakota and Minnesota, flows north into Manitoba, where provincial officials predict it will now rise higher than an epic 2009 flood, when waters crested in Winnipeg at 22½ feet. Even away from the areas where rivers have broken their banks, it will take a while to dry out the land, Hicks said. In many cases, because rivers and streams are swollen, there is no place for water to go every time it rains.